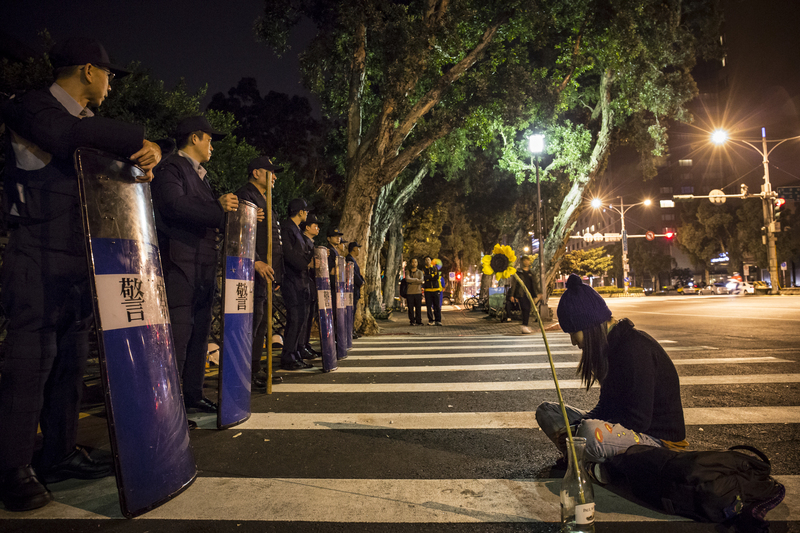 A female protester sits in front of the cordon of police officers in Taipei Executive Yuan, Tuesday, Mar 25, 2014. During the “Sunflower movement” of Taiwan, some of the protesters broke through the Executive Yuan on 24 Mar 2014. Riot police started evacuation with baton, wield, and water cannon, resulting in many injuries.